Darnell has developed and launched over $1b of software, hardware, e-commerce, biotech, and medical device products for companies ranging from early-stage startups to Fortune 50 corporations. He was a pioneer in today's most disruptive industries developing AR/VR systems as early as 2000, autonomous vehicles in 2005, and DreamFunded, the crowdfunding platform, in 2012. 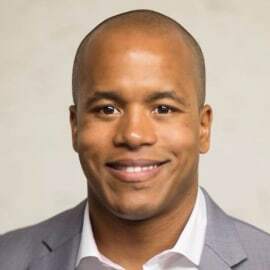 With the unique combination of investment, business, and deep technical experience, Darnell has the key skills required to identify venture value and guide strategy for industry defining companies and products. He currently focuses on business development, strategy, advising, and supporting top startups and value-add strategic and financial investors. Darnell completed an SB in Electrical Engineering and Computer Science at MIT and an MBA at Haas School of Business.